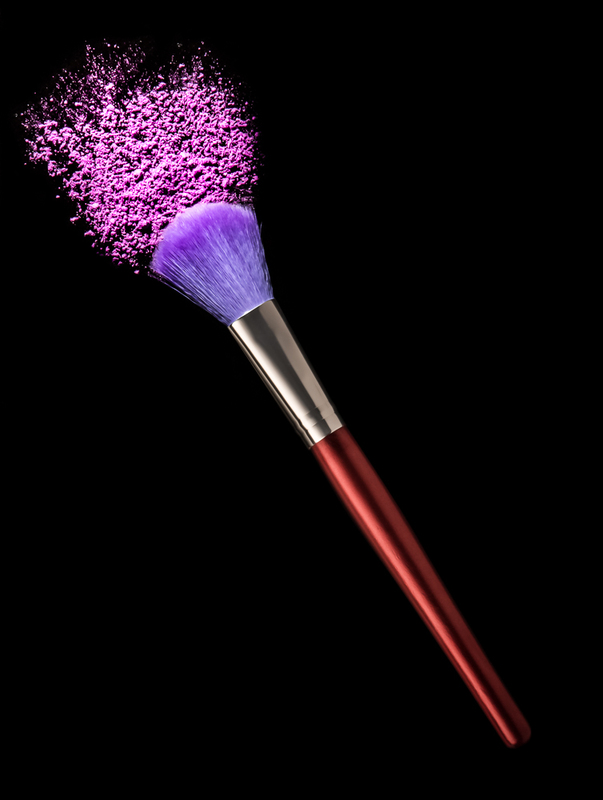 This image of a make up brush with powder was taken using two lights and a reflector. 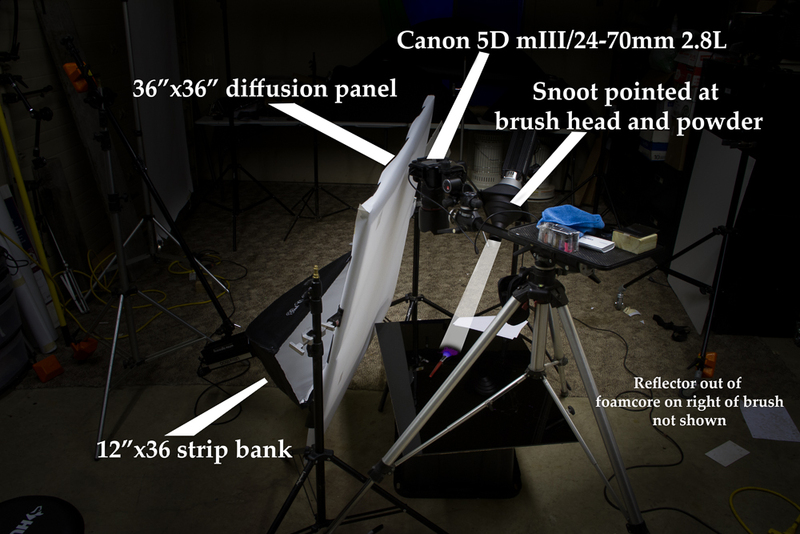 The first light is the one lighting the left side of the brush, it’s a 12×36″ stripbox shooting thru a 36×36″ diffusion panel made up of savage diffusion plastic on a PVC frame. The second light is shot thru a snoot and pointed at the head of the brush and the powder. The right side of the brush was lit with a white foamcore reflector. The final image is a composite of two images- one of the brush handle and one of the brush head and then so final cleanup in photoshop.